$12.99 & FREE Shipping on orders over $59. Concentrated Brewers Wort (CBW) Liquid Malt Extract (LME) from Briess. 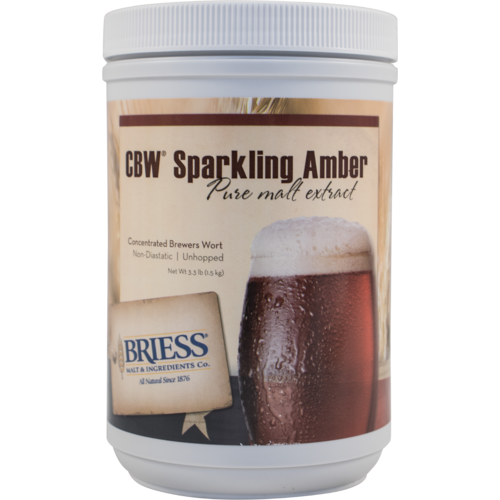 Briess CBW malt extracts get all of their color and flavor from base and specialty malts, never through additional boiling. 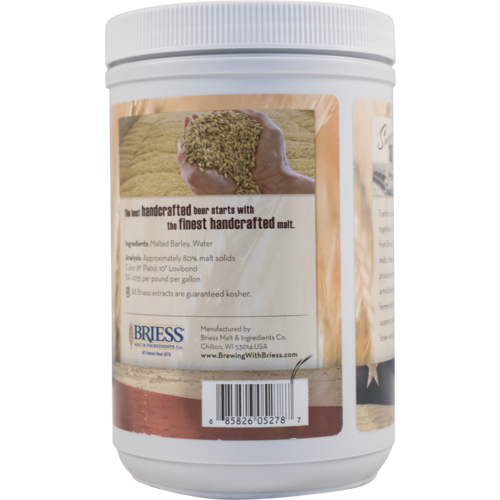 CBW malt extracts are unhopped and nondiastatic for flexible, creative brewing. Sparkling Amber CBW is made from a proprietary mix of 100% barley malts. Great Consistency. I like all their extracts.